Jakarta. 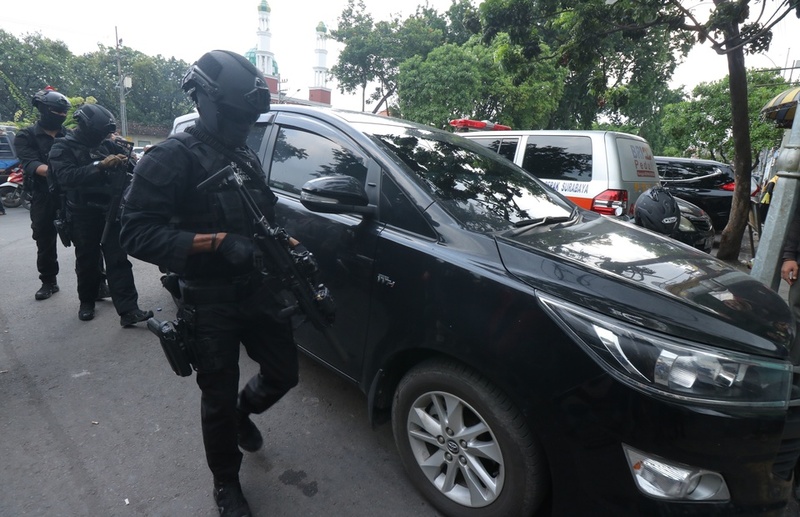 The National Police's anti-terrorist squad Densus 88 has arrested a 26-year-old man suspected of sending militants from Indonesia to the Philippines, a police spokesman told the Jakarta Globe on Thursday (04/01). National Police spokesman Brig. Gen. Muhammad Iqbal confirmed that the man, Reza Nurjamil, was arrested by Densus 88 in Nunukan, North Kalimantan, on Sunday. From the province's capital, Tarakan, he was transferred to Jakarta. Reza is reportedly a member of Jamaah Ansharut Daulah (JAD), and comes from Tasikmalaya, West Java. JAD was responsible for several deadly terror attacks in Indonesia last year, including a suicide bombing at the Kampung Melayu bus terminal in East Jakarta in May and an attack on a police station in Dharmasraya, West Sumatra, in November. The police did not disclose how many people Reza had recruited.